The globalists murdered Detroit through the various free trade agreements consisting of NAFTA, GATT, and CAFTA. And now, their Agenda 21 minions are coming for your water, your homes and your children. There are several parts to this story. First, there is the human interest story of corrupt city forces who are abusing people from a bankrupt city who are down on their luck and are reveling in the joy of bringing misery to the downtrodden. Second, we see CPS rearing their ugly faces as they are attempting to take advantage of a crisis situation by placing more children under their control. Third, we are witnessing the attempted installation of the “Building One America Plan” which will force all suburban residents into densely populated stack and pack cities through the regionalization of the control of water supplies. 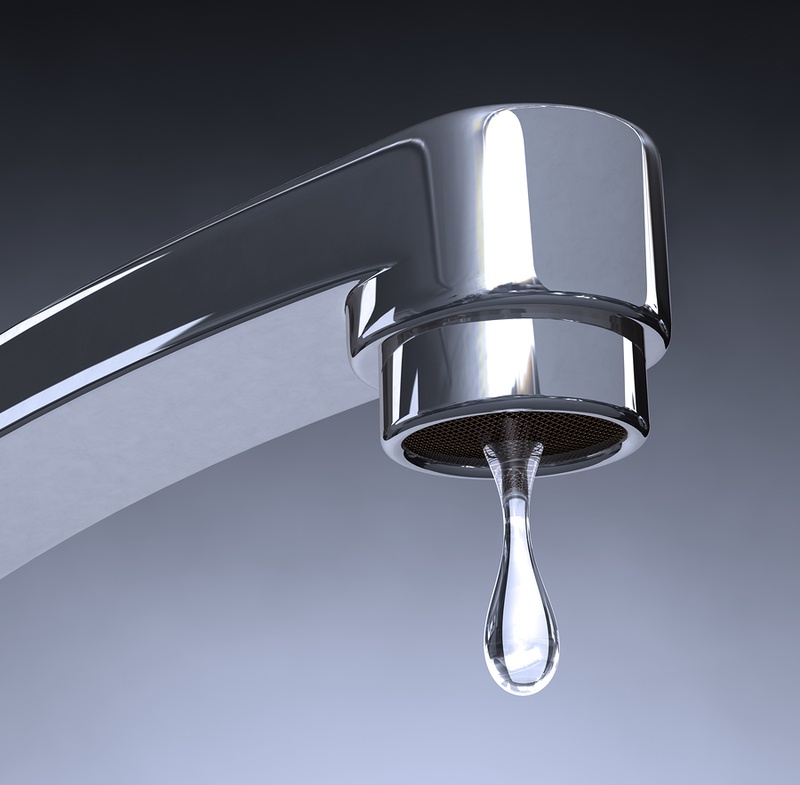 This article examines the dangers posed to American communities through an examination of these three areas related to water control and what it could potentially mean for all US citizens. As of a week ago, any Detroit resident who is more than 60 days late on the payment of their water bill will be eligible to have a property tax lien placed on their property which could result in the foreclosure and forfeiture of their home, declared the Detroit Water and Sewage Board (DWSB). The DWSB has created a financial incentive by making it more difficult for people to pay their bills. The financial motive to the DWSB is apparent. The department is gearing up for an aggressive campaign to shut off service to 1,500-3,000 delinquent water accounts according to Darryl Latimer, DWBS’ deputy director. Latimer insists that “Usually folks will then come in and make some kind of arrangement,” and that not paying your water bill has long lasting consequences. How well does this “get tough” policy work when it comes to a city that graduates less than half of it students, in a city where homes can be bought for a $100 and the median price of a home in Detroit is only $9,000, the estimated REAL unemployment rate is approaching 40%, and the police station only stays open for public business eight hours per day? By the way, Detroit residents are now only allowed a one time “adjustment” in their payment obligations for their water bills. I wonder where Mr. Latimer thinks that money is going to come from with regard to the destitute of Detroit? Are Detroit officials waiting to gobble up these $9,000 homes? It would seem so, because extra contractors have been hired to shut off the water, as I write these words. As this plot unfolds, it strongly appears that Detroit city officials have been shown how they can make money through the rigid enforcement of their water collection policies and this opens the door for more nefarious Agenda 21 forces to gain a bigger foothold in Detroit. Is CPS Waiting in the Wings to Profit From This Crisis? In a disturbing development, The Detroit News is reporting that residents that cannot pay their water bills don’t necessarily have to move out according to Latimer. Latimer is now talking out of both sides of his mouth. On one hand a delinquent water user is told that they will lose their home if one cannot pay their water bill and simultaneously he is saying that if you have kids, you don’t have to move, but you could lose your kids to CPS. It is hard to not read these two contradictory statements and conclude that Latimer is telling parents, we only want your homes if you have no kids. But if you have kids and cannot pay your bill, we want your kids and you can keep your home. Latimer is quite clear on this point as he made both statements, in the same article to the Detroit News. He warns that if there are children in these households with water that has been shut off, the Department of Social Services will arrive on the scene and will remove the children from their parents. To some people, the move to remove children under these conditions would seem prudent. Most sheep will not smell a rat. However, this development should raise red flags for all of those researchers who have followed the CPS practices of abducting children and then having many of these children mysteriously disappear, while in the custody of CPS. In circumstances, such as these, the fate of children is not the only thing to be worried about. Just take a look at the fate of the late State Senator from Georgia, the late Nancy Schaefer who exposed these abuses. The Detroit area is broke and I am not only referring to the people that cannot pay their bills. The cities are broke as are the schools. Thus, this is a spreading problem that has not even begun to peak. 1. The Detroit Public Schools owed $12 million dollars in 2012. 3. The city of Melvindale also has an overdue balance of nearly $1.1 million in water and sewerage bills. All three entities and more (e.g. city of Redford, Dearborn, etc) risk going into receivership in the same manner as bankrupt Detroit and the debt often begins with their unpaid DWSB bill. This is ominous because so many communities across America are going through this same kind of scenario. As bad as this may be, the worst is yet to come. 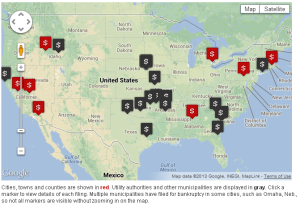 The number of insolvent cities is growing by leaps and bounds. What steps will they take to remain a viable entity? How much abuse lies in our future over this issue? The following paragraphs will provide the reader with the blueprint of what this will ultimately mean to millions of Americans. The Detroit Emergency Manager, Kevyn Orr, sent out notices to three counties in an attempt to get suburban leaders to come to a consensus on giving away their local authority to an “unelected” regional authority which will control water. Orr is attempting to use water and sewer bills as the excuse to form such a coalition. I quickly recognized this as the Building One America scheme and it is the poster child of population migration under Agenda 21 in which population shifts from suburban and rural to dense inner city and money connected to essential services is the key to nudging this shift. Building One America represents regional control of assets and is granted to an unelected regional authority in places like St. Paul/Minneapolis and San Francisco as a means to force suburban residents to abandon their outlying homes for the stack and pack inner cities. This program is the real Agenda 21. President Obama’s first mentor in community organizing, Mike Krulig, and his Building One America are behind this. Most of you have never heard of Krulig or Building One America and there is a good reason for their anonymity. If a majority of the American people were to discover Krulig’s true intentions for suburban dwelling Americans, they would chase him down the street and string he and his people up from the nearest light poles. 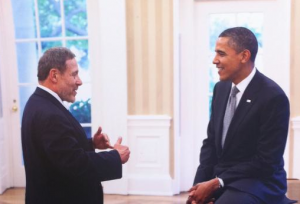 The White House has tried to conceal this association with Krulig, but thanks to the Breitbart people, a picture exists of Krulig appearing with Obama at the White House. Here is how the program works. An unelected regional council is formed with the goal of controlling assets such as vehicle mileage tax, property tax or water. Differential rates, for essential products or services, are charged to the people in the suburbs at a higher rate than are the residents in core inner cities. The goal is to force the eradication of suburbs in favor of dense inner city living and to use the power of the purse to accomplish this goal. This is not some futuristic goal, the practice is already in evidence in Detroit proper as residents pay about 25% less than suburban water customers. Since the water comes from the same source, how can this be justified? It cannot be justified, however, this is part of the plan. The Agenda 21 people from Building One America charge so much more for a product that people feel compelled to move to the cheaper location. And we are not just talking water, we are talking home heating/cooling and vehicle mileage taxes (VMT). If enough economic pain can be generated in the suburbs, the desired migration may occur naturally. Already In St. Paul/Minneapolis, San Francisco and Portland, road pricing for the VMT is being implemented to force drivers out of their cars. This will impact all drivers except for the Obama inspired exemption of low income drivers. The VMT is designed to give favored status to certain groups. These groups represent organizations that want to transfer wealth through the heavy hand of regional government interfering in the housing, transportation and land use market place. The wealth transfer is to flow from the wealthier middle class to economically disadvantaged inner city residents. This tyranny is also being beta tested in the (San Francisco) Bay area in a project entitled One Bay Area Plan. One Bay Area Plan is a 25 year plan which combines housing, transportation, and Agenda 21. It is obvious that Detroit is following the same plan of action with regard to its water in exactly the same manner as Building One America. Detroit’s regional water plan is right out of the Agenda 21 Communist playbook. Paying customers will end up paying higher rates on bills for those from whom the utility can’t collect. The cost of noncollection is passed from poor to the financially stable. The money will flow from the suburbs to the inner city, Latimer explains. Fortunately for the citizens of the Detroit area, the local suburban leaders have some common sense. Orr has been forced to temporarily reject the regionalization plan for water because too many cities were dragging their feet. I expect that this is only a temporary solution, at least for the time being. Orr said he is actively moving ahead with a second plan which consists of selling the city-owned system or leasing it to a private management firm (i.e. a public-private partnership) which will result in an unelected corporate board selling water at any rate it desires and their power will be beyond the control of the people. Orr told The Detroit News that he will send out requests for information in a couple of weeks or sooner gaging interest from private operators. So, even if regionalization is temporarily halted, the net effect will be the same which will be differential rates for the suburbs vs. the inner city and a plan to have the financially solvent pay the water bills of the poor. For anyone who truly understands Agenda 21, we all know that ultimately the UN inspired plan is about installing a Soviet style form of government by removing local decision makers from the power of the electorate. Building One America is not about controlling just one resource or product in order to manipulate behavior or geographic choice of living, it is about controlling everything. From HOA’s to the Charter School movement, we see the move away from elected representation and control by the people, to self-serving Agenda 21 bureaucrats who impose their will on an increasingly enslaved population. Much is being written in the present climate related to how Putin is effectively isolating America from our traditional allies and the end of the Petrodollar is near which will spell the end of the dollar and our way of life. If America is not militarily conquered, it will become occupied as a puppet state of whomever the globalists choose. The Russians and Chinese are posturing to become our new landlords. This is where Agenda 21 comes in. The major threat posed by plans such as Building One America is not in today’s world. It is the Soviet blueprint of how America will be structured after the political/economic/military fall of our nation. Subsequently, Americans are caught between the proverbial rock and a hard place. In the present and spreading Ukraine crisis, we are fighting for our very economic and military survival. Shortly, we will be fighting for our right to exist under these policies because our new overlords will have the power over our most essential resources in order to control our behavior and they could even have the power to end our lives as Stalin did when he starved millions in Ukraine. One final thought that should concern every parent who might lose their job and not be able to pay their bills. I think we should all consider the wisdom of letting such an organization such as CPS decide our children’s fate when we are in crisis. Nancy Shaefer was correct about what is going on inside of this organization. 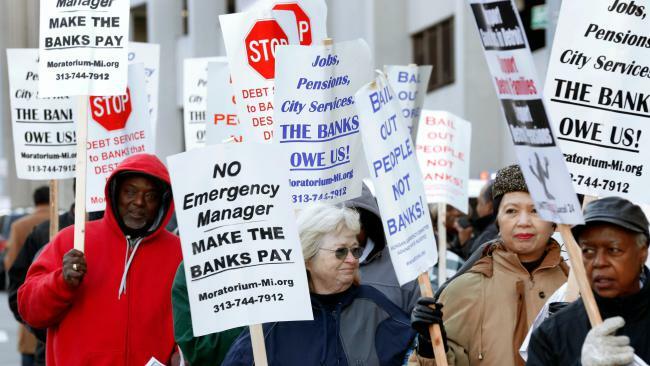 Do you understand now why Obama would bail out Goldman Sachs but not the people of Detroit? I hear Dancing with the Stars may be canceled. Maybe the awake among us will get some help in fighting against this tyranny.